A little dose of inspiration. It's been awhile since I shared my pin-spirations with all of you but I've been finding some really great stuff on Pinterest lately and if you follow me you can tell that I've been on a frenzy! I love finding fun projects that I can work on in my spare time and since I'm coming to the end of my commissioned projects it's nice to have tons of different options for new endeavors. Here's whats been inspiring me lately! 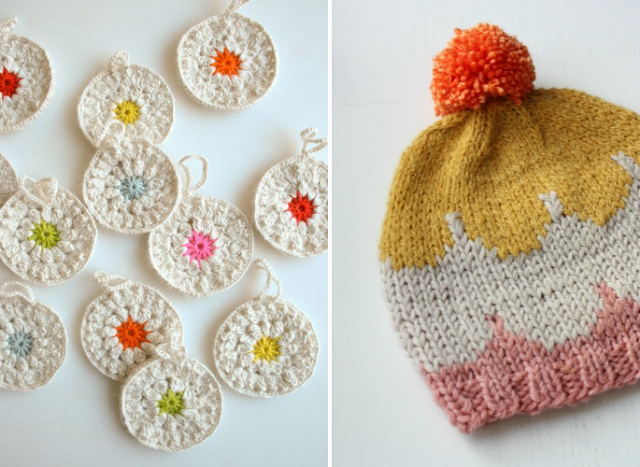 Crochet and Knit // These Sunflower Ornaments via The Purl Bee would be so adorable on the Christmas tree or made into garland. I'm a little behind this year but I can always work on it now and have it ready for next year's festivities. This scallop knit hat is so adorable. I haven't tried my hand at knitting scallops but it doesn't look terribly difficult and it makes for a lovely effect. I am so in love with the idea of using clogs as needle and hook storage, I defiantly want to do this in my office! 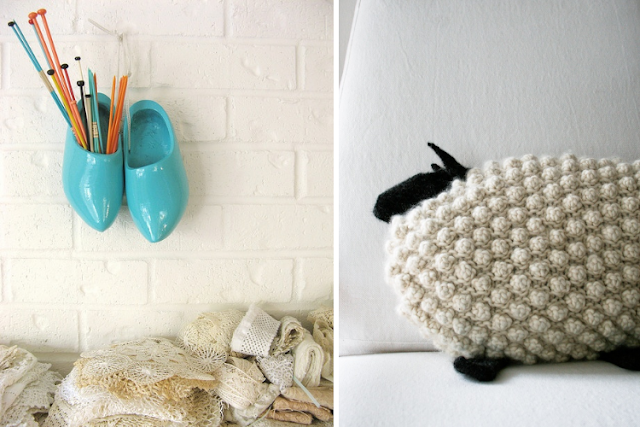 This bobble sheep pillow would be so adorable to make for the littles play room. Marli is so fond of sheep, this is a must do at some point! 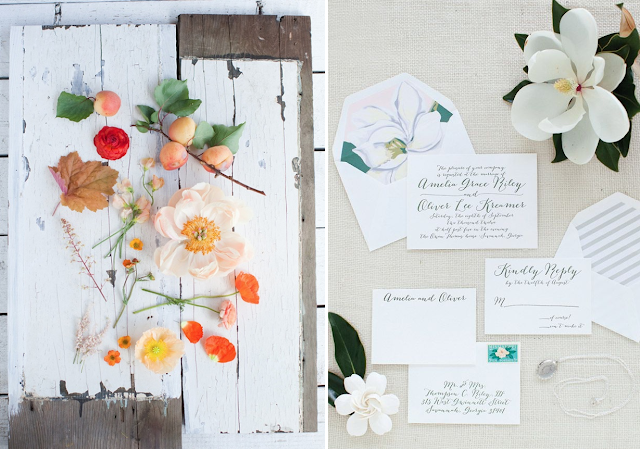 Design Inspiration // I've been looking to floral layouts a lot lately as inspiration for my watercolor paintings. I love seeing different colors and textures paired together and it also gives me a nice reference for different styles of florals and arrangements. I am hell bent on learning calligraphy in the next year, put that on my resolutions list! I'm planning on taking a I Still Love Calligraphy course in the near future and I'll probably post some of my progress for those who are interested. Product Photography // Currently I am loving the idea of incorporating paper flowers into photographs of my prints in the shop. I'm about to revamp the shop since I moved to Storenvy and I have been trying to come up with unique ways to show off my work. 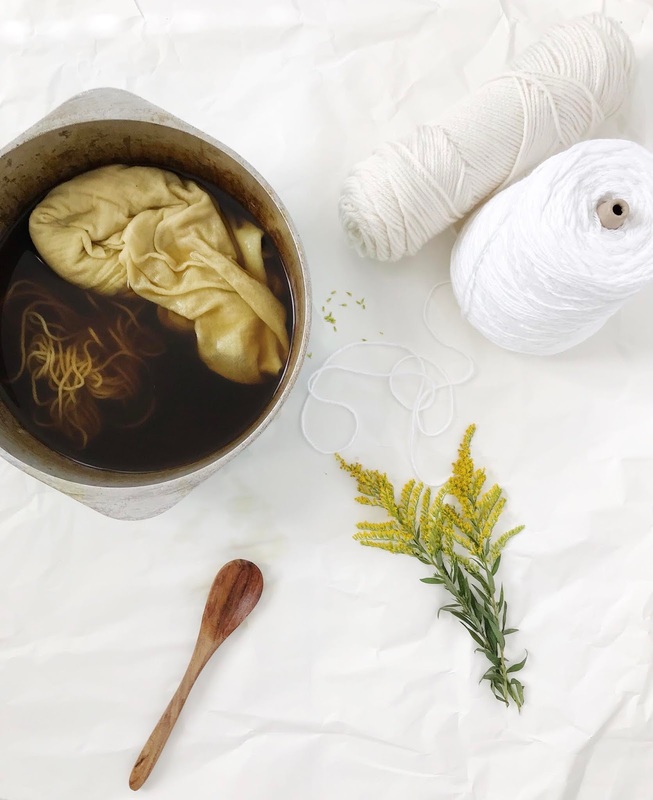 I love this unique take on product photography as well, using a flower or other natural elements to create an image that really pops to the buyer. 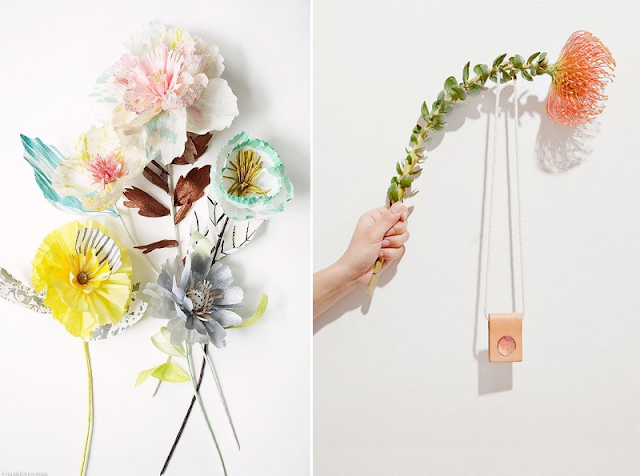 Plus, that flower is gorgeous! What's been inspiring you lately? I'd love to hear from you! Wednesday Wants // Blythe Dolls.